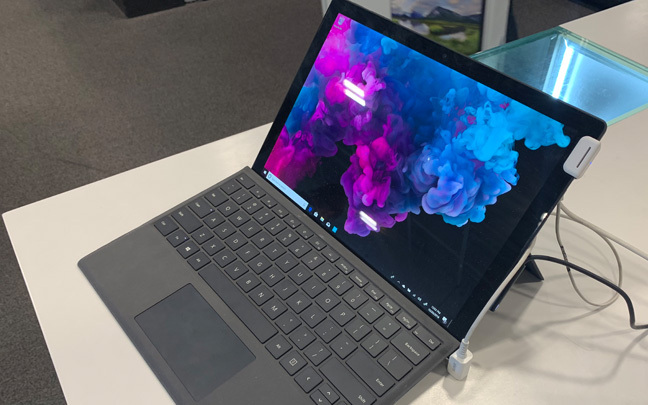 The version of the Microsoft Surface Pro 6 that has an 8th generation Intel Core i5 processor, 8GB RAM, and a 256 SSD is used for this particular article. I recently wrote an article about how underwhelming the Surface Pro 6 announcement was. And when finally playing with a unit for 15 minutes at Best Buy this weekend, I still wish Microsoft would have done more. Still, at $1199 (even without the Type Cover or Surface Pen), the new Surface Pro is still a great buy. The black matte finish isn’t a necessary addition to the model, but it’s certainly a pleasurable one as it makes the Surface Pro look and feel more like a premium device (not that it already didn’t feel like one). But then you look at the bezel space around the screen, and you realize that Microsoft is behind the times. There’s another way to look at it though — the space makes it easier to hold device as a tablet without accidentally touching the screen. The Surface Pro 6 is a premium device in every sense. Then, when you actually operate the unit, you notice an improvement immediately. That’s because Intel’s latest 8th generation processors are now quad-core. I wasn’t able to test apps like Photoshop or Adobe Premiere, but I was able to test Microsoft Office with several apps and Chrome open in the background. Things operated noticeably more smoothly than they did when operating the same test with 2017′s Surface Pro. The quad-core processor is a big deal because it means that an Intel Core i5 device can actually be used as a video editing machine. If you are specifically looking for a video editing machine, the Intel Core i7 version of the Surface Pro 6 would be ideal. However, the Core i5, which is much cheaper, can still be used for most people. Because there is no fan, you can expect the device to get pretty hot. In my 15 minutes of somewhat heavy use, the Pro 6 only depleted five percent of its battery life. Microsoft has made gradual improvements to the battery life of the Surface Pro, and this was especially seen in last year’s version. This year’s version makes things even better, and you can be safe without carrying your charger with you during the day as long as your Surface Pro 6 is fully charged. Speaking of charging, Microsoft still includes the ancient charger that was satisfying three years ago, but dreadfully outdated now. There is no USB-C port, which is disappointing since almost every Windows or MacBook laptop now have one — it’s the new standard. There’s the outdated Mini DisplayPort, the one USB-3 port, and a microSD slot. Despite its faults, the fact remains that the Surface Pro 6 is still the best laptop/tablet hybrid on the market. The lack of a USB-C port is downright questionable, but it’s not a deal killer for most. The Pro 6 is a portable powerhouse that gets better with each iteration. I’ll give a more in-depth review once my review unit comes in. 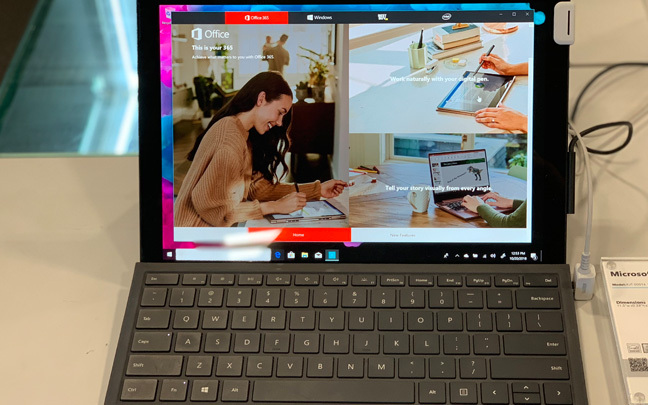 This entry was posted in Review and tagged Microsoft Surface Pro 6, Surface Pro. Bookmark the permalink.